Our Slings are made with Tough Vinyl Coated Polyester and P.V.C. Olefin fabrics with UV inhibitors designed for the ultimate outdoor use, which also makes it great for outdoor cushions and umbrellas. 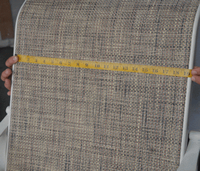 Our complete line of Stock Fabrics are available in a wide array of colors, textures, weaves and patterns. The craftsmanship of your slings comes from experienced fabric cutters, to your exact dimensions. Also constructed with 100% virgin vinyl spline to ensure a snug and secure fit into your furniture frame. All seams are double stitched with tough polythene thread, which will keep the sling in tact even under the most stressful conditions. Our slings are stitched using 12 stitches per inch not the 4 stitches per inch you see on other lower quality slings. 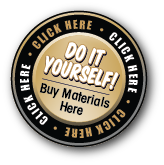 Patio Sling King has partnered with the Twitchell Corporation to give you a greater fabric selection with their Drop Ship Program. Since its beginning in 1922, the Twitchell name has represented quality in yarns and fabrics across a multitude of industries. For almost a century Twitchell has been improving the looks and performance of our customers' products. Today, they are a multi national manufacturer of some of the world's most innovative fibers, textiles, profile extrusions and coatings. Twitchell offers a broad range of PVC and olefin yarns and woven fabrics, as well as vinyl extrusion and coatings for a wide variety of applications from designer outdoor furniture to commercial truck tarps. In a changing global marketplace demanding a new world of textiles and applications, Twitchell continues to pioneer new yarns, fabrics and coatings and develop new manufacturing capabilities to meet the needs of its customers.